Here’s How to Hop your way to happiness with your Kiddy Up Hopper Ball! 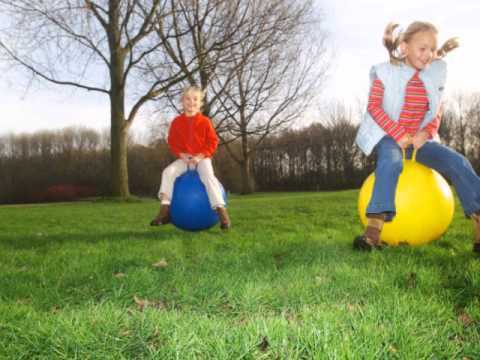 When it comes to finding engaging and genuinely fun activities for your little ones to pick up, one of the most basic and classic toys that we all grew up with is the hopper ball –a large and bouncy ball with handles big enough that you could ride and hop around on it. Though simple in design, bouncing on a hopper ball was probably some of the most memorable outdoor fun you had as a child. Now you can share the experience that you loved so much as a kid with your own little ones with the Kiddy Up Hopper Ball! In case your kids are making the case to just go back inside and watch more TV, here are some ways you can get them more involved and have more fun with this simple yet classic toy! Personalize your Hopper! Who doesn’t love flexing those creative muscles every now and then? For those of the artistic persuasion, the Kiddy Up Hopper Ball is a blank canvas just waiting to be filled with personality. Don’t be afraid to pick up a marker or paint brush and start doodling on your Hopper Ball! If it’s your ride, why not personalize it and let the world know it’s yours, right? Draw a dragon, draw your own face, even draw a picture of you riding the Hopper Ball! Whatever you feel inspired to illustrate onto your Kiddy Up Hopper Ball, make it personal and most importantly --make it fun! For a super fun decoration idea just in time for Halloween, consider painting your Hopper ball to look like a giant all seeing eyeball! We got the idea from the DIYNetwork blog, and it’s seriously the coolest thing we’ve seen all week. Want to keep the fun going even after the sun starts to go down? Consider using glow-in-the-dark markers so that you can keep bouncing even after the day is done! Hop away! Have a race! Nothing gets the blood going faster than a good ol’ fashioned race! Set up some cones and an obstacle course of sorts to let the games begin! Set up your race track or obstacle course as big or small and as short or long as you want to make it, and set your little Hoppers loose as they attempt to navigate your track! Set up cones that they have to slalom and hop around, and maybe even a limbo stick that they have to bounce under! Whatever your creative mind thinks up, make sure they don’t stop hopping! The Kiddy Up Hopper ball is now available at Target! What’s your favorite way to play with your Kiddy Up Hopper Ball? Share it with us on our Facebook page, and give us a follow on our Twitter and Insta, too! Celebrate May the 4th with the special little Jedi in your life by throwing an epic Star Wars party! Imperial Toy has 5 fail proof ways to strengthen the Force with your Star Wars Day celebration. With so many excuses to stay indoors and on the couch, sometimes kids need a little motivation for some outdoor fun!